· PINEYRO’S GENERAL CLEANING | Quality Business & Residential Cleaning Services | A family business owned & operated by Rodrigo & Jasmin, a lovely couple originally from Argentina & Mexico. We are lucky for Edmonton and Metro area is their home now – give them a call at 587.337.1844 | email: pineyrosgeneralcleaning@gmail.com (or) visit them online here: https://pineyrosgeneralcleaning.com | Very friendly. Thanks! 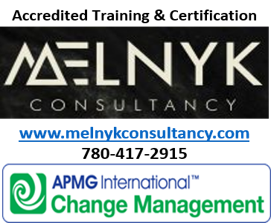 · MELNYK CONSULTANCY | Building the capacity of teams, individuals and organizations. New training courses just around the corner. About: Pauline Melnyk is a Change Management Practitioner/HR Professional focussing on organizational effectiveness, business transformation and program effectiveness. For more information, please call 780.417.2915 (or) visit her: https://melnykconsultancy.com … | Thanks! · COLLABORATIVE LAW | Long Family & Collaborative Law | http://www.longfamilylaw.ca was founded by Edmonton lawyer Linda Long, QC in 2004. Long Family Law Group LLP – 780.461.8416 – has grown to 5 lawyers + one student-at-law supported by 4 full time staff. See their site for details | Thanks! · LEGALSHIELD | T: 780.708.1460 | Smart, simple legal coverage starts here! Protect your family/business, and your personal identity with a simple, comprehensive coverage from LegalShield and IDShield. Trusted, Effective, Affordable, Reputable. Call Cheryl Watts for a free consultation – or visit: https://cherylwatts.wearelegalshield.com … | Thanks! PROFESSIONAL DEVELOPMENT CED - MBA | Earn your MBA on Weekends in Edmonton or Calgary: with classes scheduled about 16 weekends a year, this MBA program caters to working people who need flexibility to balance work, family and studies. The MBA in Community Economic Development resonates with people working in the public sector, community organizations, social enterprises and entrepreneurial businesses, attracting learners who want to make a difference in their organizations and communities. All courses are delivered face-to-face on weekends by acclaimed faculty from all across Canada, allowing you to advance your career while continuing to work by earning your MBA degree in 24 to 26 months in any of the 8 cities of program delivery. Fully approved by Alberta's Minister of Advanced Education and Technology, this program has already been delivered in Edmonton for 15 years, with over 60 Learners currently enrolled. An affordable program, with tuition paid on a course by course basis, and eligible for student loans, Credit Union and Bank Education Lines of Credit, and RRSP lifelong learning loans. Contact: mba@cbu.ca | Mobile-Text: 1.902.317.3754 | Cape Breton University now offers its unique MBA degree in 8 cities across Canada: Edmonton, Calgary, Kingston, Toronto, Brandon, Saskatoon, Whitehorse, and Sydney, with a 15 year impeccable track record delivering the program outside the CBU main campus. EMPLOYMENT OPPORTUNITY | Arts on the Ave Edmonton Society (AOTA) is a grassroots, charitable organization that believes in fostering renewal and artistic fellowship through arts celebrations, signature art festivals and traditions. The Society’s goals are to and create opportunities for all individuals to experience the joy of artistic expression and to nurture creative and educational environments. | The Position: Food & Food Vendor Coordinator | Hours of Work: The Food and Food Vendor Coordinator will work as contractor to Arts on the Ave Edmonton Society. | The Job: Under the guidance/direction of the Executive Director, the Food and Food Vendor Coordinator will prepare and execute meals for volunteers, pre, during/post festival. This position is responsible for the overall management and coordination of all food vending operations at the Kaleido Family Arts Festival and Deep Freeze Festival.